Recently I sat down to sort through my boxes of photographs. My sister’s husband is putting together a slide show of family photos to display during our Christmas get-together, and I wanted to see if I had anything to add to his collection. So I got the boxes out and began my journey down Memory Lane. It’s a funny thing to look at old photos. 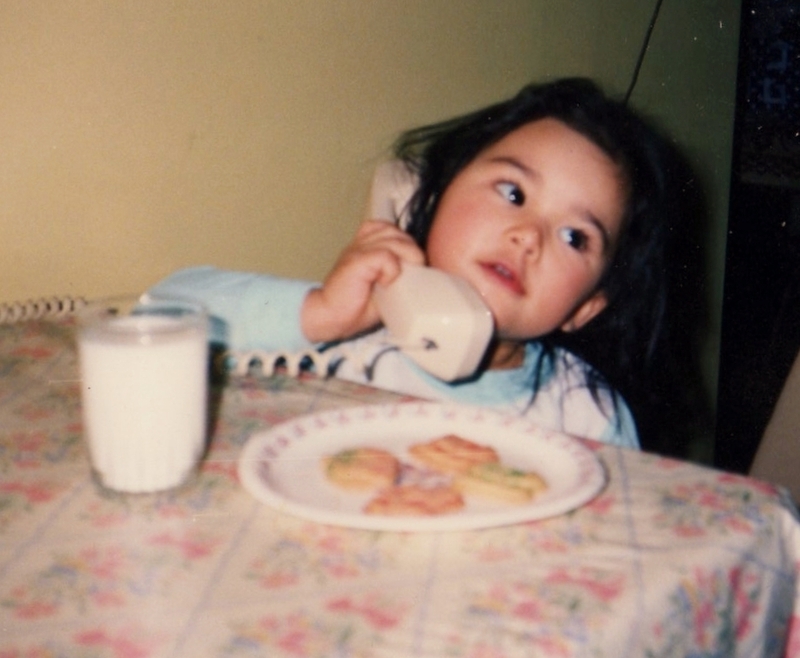 I found lots of sweet ones of my daughter, like the one taken when she was small, with a plate of cookies and a glass of milk before her and the phone receiver to her ear, as she was putting her call in to Santa Claus. There were wonderful shots of my nieces and nephews, too. 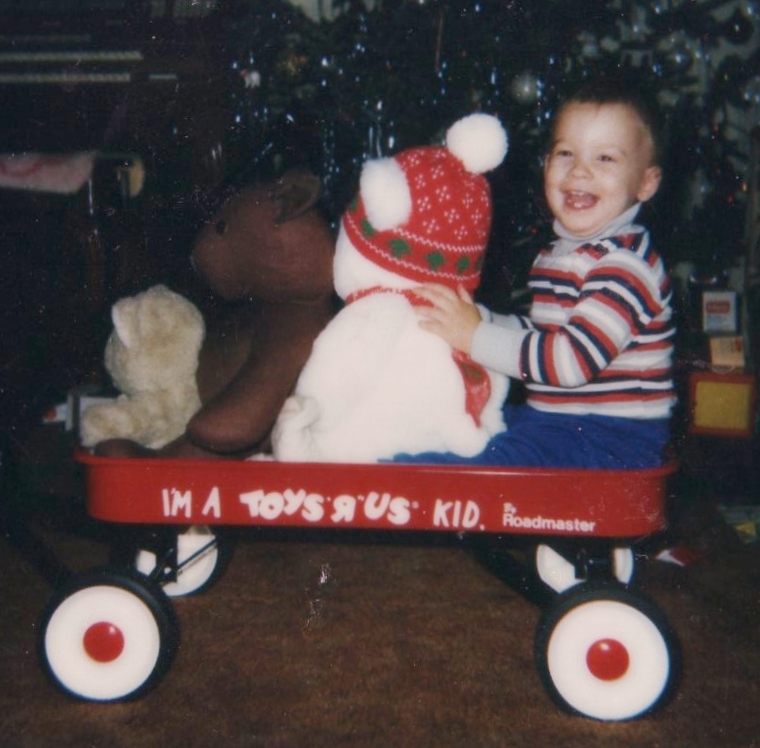 My now twenty-five-year-old nephew, then a toddler, sitting in his little red wagon, a Christmas gift, with his stuffed animals and a huge smile on his face is simply precious. I feel an instant joy looking at those records of the past. Happy times. As I dug deeper into my boxes and pulling out more photographs, I realized that the images triggered other feelings as well. I looked at photos of college days spent with the boyfriend I loved (or thought I loved). While I remembered the good times, I couldn’t help but relive, a little, the hurt I felt when he dumped me. I also found photos of my dad, who passed away twenty-two years ago. Studying these pictures, I thought about who Dad was to me and my siblings as our father; his personality, his quirks, and his humor. 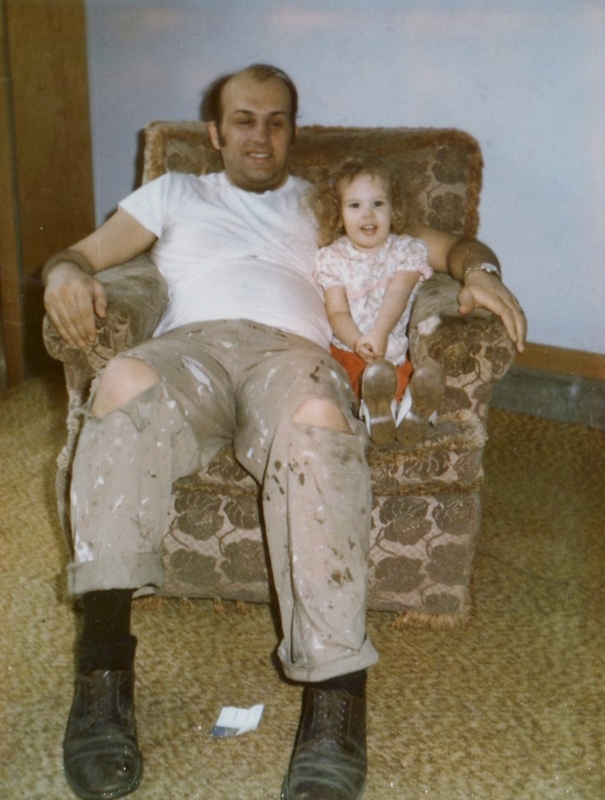 I saw a photo of him as a younger, more vital man with my youngest sister, his “little buddy”. Dressed in his around-the-house work clothes, he had probably been working on some handyman-type project. Now he was relaxing in his chair with my sister, the baby, who decided to sit next to Daddy. The next photo of Dad that I picked up was taken years later. He looked older and tired and not so healthy. It was taken some time following his diagnosis of myotonic muscular dystrophy. The photo reminded me of how he struggled with that diagnosis, and with the changes that disease brought. For me, it was sweet to see the earlier photo, but sad to see the later one. Next, I found photos of my other sister and her son, both diagnosed with the same form of muscular dystrophy that my Dad had. These photos compel me to take notice of the physical changes in their bodies and in their physical abilities that have occurred in the last twenty-four years. It’s not that I haven’t noticed these changes over time; the changes have been apparent all along. But the photos offer a striking, concrete proof of change, and they remind me of what I already know: that the MD is progressing and that their health is declining. It reminds me that this is their reality, and it also makes me sad. 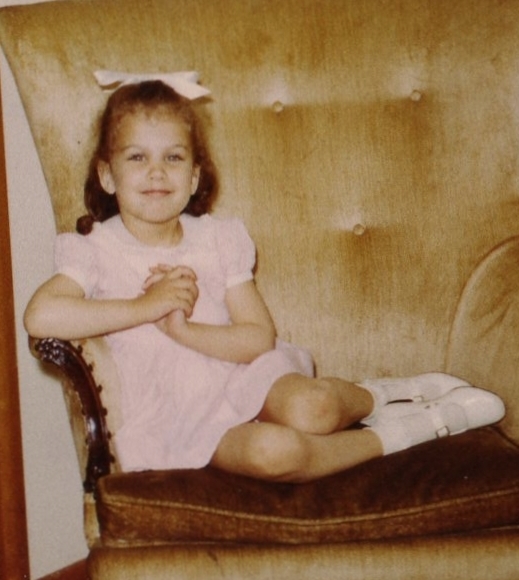 I found various photos of myself from different times and ages in my life, too. In some, I see the sweet young child, innocent and unaware of what the future will bring. 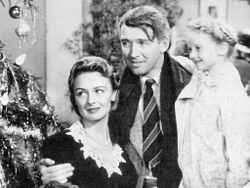 In others, I see the awkward preteen and adolescent, and I cringe, feeling sorry for her and wanting to help her through those growing-up times. I also see, in some photos, the young adult who didn’t always make the best choices. And then there are the photos that were taken during less than ideal circumstances, like after an argument or a disappointment. In those photos, I see a smile on my face but I remember what I was really feeling at the time. And then there are the moments of joyous occasions and simple times at home with my daughter and other loved ones. You might get the impression, from some of my observations, that taking the trip down memory lane was a negative experience and that maybe I feel that my life is full of sadness. I thought about that, about how seeing the photos triggered memories and feelings. But the more I considered the photos, the more I realized that these are nothing but snapshots, both literally and figuratively. They are snapshots of my life and the lives of my family and friends. They don’t accurately record all the happy moments or even all the less-than-happy moments. They only offer a glimpse into a fraction of a moment in time. They jog the memory, but it’s the memory that chooses to hold on to the feelings that make the strongest impressions. So many moments are lost to memory, for better or for worse. I still believe that life is wonderful, even with its ups and downs. A lifetime is filled with moments, many of which will go unrecorded, save for within the mind. We can hope to remember all the joys in our lives, and also hope to remember what we discover and learn from our sorrows. All lives are a balance of joys and sorrows, and perhaps many other emotions. To accept that is to know that you do not have to regret your past, and that you can have hope for the future. When I take my photos out again some time, I will remind myself to take a balanced view, to not be so critical of my past self, and to consider what the photos really show – tiny moments in a wonderful life. Great blog, Annette. Going through photos over here and I completely relate. Thanks, Michelle. Overall, I have enjoyed looking at all these photos – most of them put a smile on my face. I found that a few of the photos took my mind to places I hadn’t visited in a while. I started to wonder, “what if” and “where are they now” and “what are they doing now”. Then I had to pull myself back to the present and realize that things are as they should be, and that my questions don’t really need an answer. I think it’s okay to think about it, though. I like the photo of you and Dad. You were so small there, and I can see how much Katelyn looks like you when I see that picture. I think by the time you came around, Dad felt more confident in showing his affection as a father. I like that he thought of you as his “little buddy”. It was very sweet.